Warehouse signage is one of the most important identification products in the fast moving storage environment, offering highly visual points of reference, even over large distances. We manufacture a variety of different warehouse signage, for external and internal use, in various colours and materials to specific requirements. 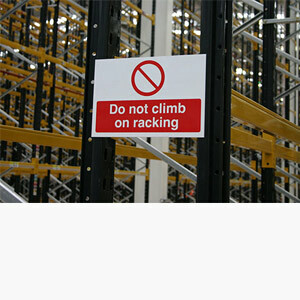 Our product range includes aisle markers, hanging signs, safety signage and external signs. Contact our sales team to discuss your requirements.